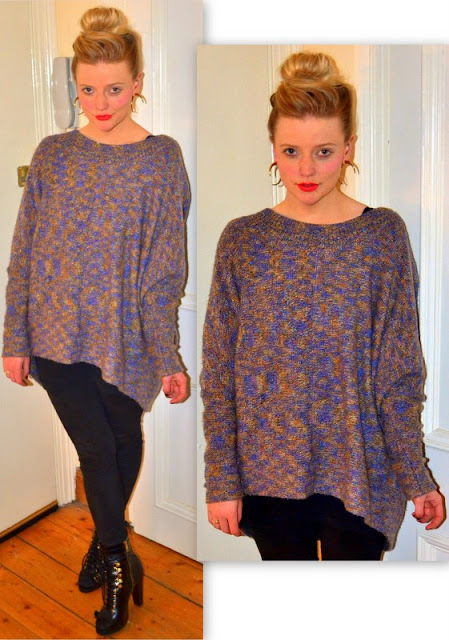 Heres a little look I wore yesterday- Sooooo comfy- I got this top from H&M years ago and you could pretty much live in it. I am ashamed to say that the ear expanders are fake,,,, I did attempt to expand my ear lobe a few years ago and this ended badly... so thanks to Miss Selfridge I can keep pretending to be cool!!! I am about to raid some thrift stores near my house right now- wish me luck!! !